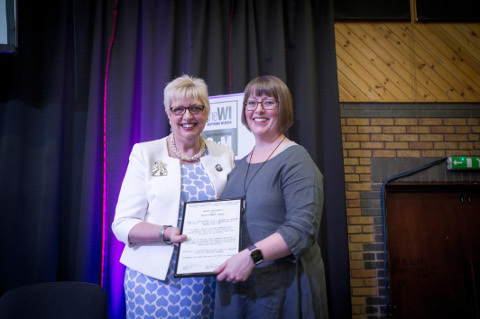 The winners of the NFWI-Wales 2017 Recruitment Awards were announced at the Wales Annual Conference on 17 April 2018. 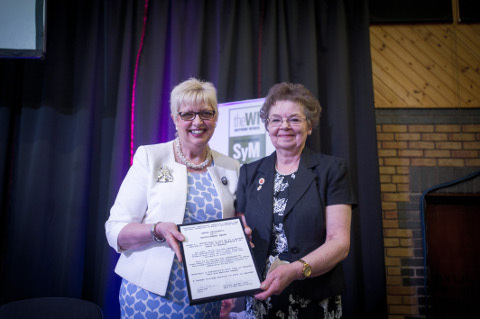 Congratulations to Llandegley WI, Powys Radnor Federation for winning the award for WIs with fewer than 25 members. The WI had increased its membership from 4 – 8 members, an increase of 100%. The award was accepted by Dawn Gill, a member from Llandegley WI. Congratulations also to Carneige Girls WI, Glamorgan Federation for winning the award for WIs with 25 members and over for increasing its membership from 49 - 73 members, an increase of 49%. Sian Pontin, President of Carneige WI accepted the award.